Hoping to save yourself some download time by buying a physical copy of Call of Duty: Black Ops 4? Well, you probably shouldn’t bother, because the disc-based version of Black Ops 4 requires a huge 50GB day one update. The download version of Black Ops 4 is only slightly larger, around 55GB, so yeah, depending on your Internet speed, buying physical will save you maybe…10 to 30 minutes? Not really worth the drive to the game store. 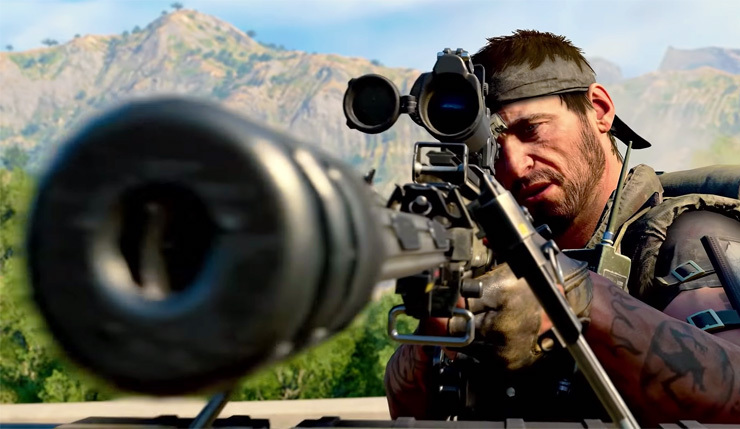 Before playing for the first time, players will need to download and install a day one update for Call of Duty: Black Ops 4. This update must be installed completely in order to access Multiplayer, Zombies, and Specialist Headquarters. Blackout is fully playable once installation is about 30 percent complete (approximately 16-20 GB). Well, at least you can play Blackout with only 30 percent of the game installed, but still, the fact that a minimum 50GB download is required to play all of Black Ops 4 isn’t great. Yes, faster broadband Internet is becoming more widespread, but a lot of gamers are still operating on a 10 to 20mbps connection, which would take 5 to 10 hours (or more) to download a 50GB file. What are your thoughts? Are 50GB downloads no big deal? Or should Activision and other publishers make a better effort to make their games available to all players?